The aircraft business has always been a dear affair. More than other forms of transport, it remains susceptible to oscillating costs (materials, fuel), ever at the mercy of the uncontrollable. The Airbus A380 was meant to be a giant’s contribution to aviation. In time, its makers came to the conclusion that the bird had already flown. As much as it was a “technical wonder” (an “outstanding engineering and industrial achievement” boasted Enders), the A380 simply did not have the momentum financially to carry the company. To a large extent, this may have been embedded in the mission itself: to outperform, at quite literally all cost, the Boeing 747, the super mega jet dream born in 1988 when Airbus engineers went to work on designing an ultra-high-capacity-airliner (UHCA). This would entail the guzzling addition of four jet engines, and an ongoing headache to the accountants. The consequences of this vain if admired project have been more than head-ache inducing. Carriers who have gone for purchases of the divine beast have underperformed on the revenue side of things. Such large entities, to make matters viable, need orders covering up to four-fifths of the seats. This leads to incentives to discount prices and seek promotions. In the penny-pinching world of air travel, this is a tall order. And big it is. The A380 was advertised for its breezy size and proportions – 73 metres in length, 80 metres wide, able to ferry 550 to 800 passengers, depending on type, on two complete decks. Floor space was increased dramatically (some 49 percent), with additional seating being a mere 35 percent from the previous largest aircraft. The comfort factor was enhanced: more passenger room, and less noise. In a machine sense, it made many in the aeronautical side of things salivate: modern computerised systems; powerful Rolls-Royce reactors. A truly big toy. The transport routes favouring hubs (Dubai and Singapore) were originally the target of the A380. Megacities would proliferate; traffic between them would necessitate bigger planes to cope with capacity issues. Congestion would thereby be reduced. But there were delays – some eighteen months – before it finally made its maiden flight on April 7, 2005. Then came a change in strategy from hub destinations. A diversification of travel routes took place. Appropriate capacity for destinations was simply not there. The market has also grown at a lesser rate. Projections, in other words, have not been met. The arrival of fuel-efficient, longer-haul flights have also become something of a curse. The Boeing 787 and Airbus’ own A350 have done more than simply pique interest. A move in their direction signals a greater interest in the More Electric Aircraft generation. Qantas Airways Ltd. is seen as an example: initially enthusiastic about Emirates, having made an alliance in 2013, it has moved with greater enthusiasm towards Cathay, courtesy of the 787. This means that the traditional hub destinations like Dubai can be by-passed. 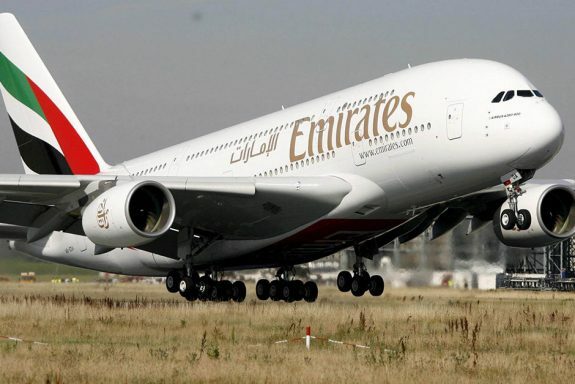 The largest purchaser of the A380 – Emirates – has done its best to keep orders coming in for the company. (In of itself, this suggests dangers to both purchaser and supplier.) Gross orders as of January 31, 2019 show Emirates coming in at a staggering 162, with Singapore Airlines a very distant second at 24. Since 2008, it has made the airline its centrepiece. Emirates’ tastes are also fairly unique, being the only major airline preferring large, twin-aisle, wide-bodied jets. But the airline is looking elsewhere, downsizing to the smaller A350 or A330. The numbers are eye popping: of the 56 aircraft still on the order line, 53 are set for Emirates; but Dubai’s national carrier was contemplating switching 20 orders of the Airbus SE 380. Confirmation that it would cut orders for the A380 by 39 was enough of a call for Enders. There are, however, still a few tricks available in the A380 bag. Emirates, for one, managed to do the unusual thing of having increasing numbers of passengers while reducing departures. It won’t and has not saved the continued production of the A380, but that large creature of avionics is set to be around for a time before a full, unpensioned retirement. In Enders’ romantic reflection, the A380 would be roaming “the skies for many years to come”.